The troop has taken part in many activities including the District Stags Head Trophy, outdoor Cooking Competition, Eagle Trophy, Solent sailing regatta and District Swimming Gala, with many 1st place results and a healthy trophy cabinet. 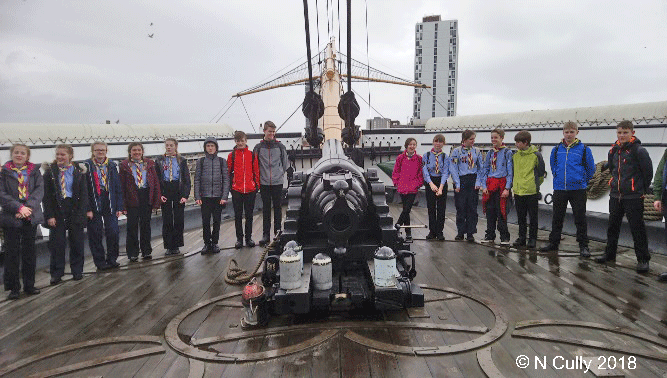 We have also entered the Royal Navy Scout Swimming Gala at HMS Raleigh. Members of our Troop took part in an expedition on the River Wye and also walking in the Lake District with a District team. We have held many boat training days at Eling, River Hamble, Southampton Water from Hythe to Eling and at Iford Bridge. 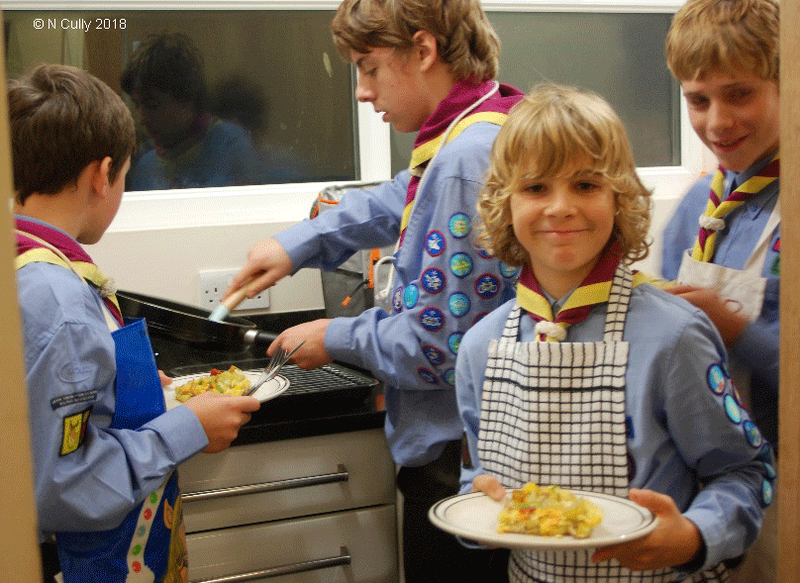 Troop night activities have included skills Challenge and creative Challenge evenings, visits to Hounsdown pool for kayak practise session, International Cooking, Night navigation, Knots and Team challenges, electronics, bell ringing and a trip to use the shipping simulators at Warsash Maritime Academy. and a trip to visit Minions and the Cheesewring Tor. Whilst in camp, many Scouts gained their campers and camp cook badges; many signed off activities on their Adventure Challenge and Outdoor Challenge badges bringing them a step closer to the Gold Award. It was a great trip and we are hoping that our next camp will be even better with a return to the beautiful Botany Bay on the edge of the Forest of Dean. This year the troop will continue to build on its boating and traditional scouting skills, we will encourage all Scouts to gain their Challenge Badges and hope to present many more Gold Awards to those that are preparing to move on. The Troop has been very fortunate in having a secure team of leaders and supporters over the last few years and should now start to prepare for when leaders move on. For the troop to continue to offer scouting to a large number of young people it is vital that we continue to recruit adult helpers and support them in gaining the relevant training and permits required to run a successful Sea Scout Troop. 2017/18 has seen the troop present many badges our members currently hold 5 World Challenges, 13 Adventure Challenge, 13 Outdoor Challenge, 18 Expedition Challenges. We have presented 5 Chief Scouts Gold Awards with another 6 more due to complete in July 2018. We have also been working hard on some of the activity and staged badges and have awarded 45 communicator, 44 Electronics, 23 International, 23 paddle sport and 54 time on the water. In total the troop has gained a whopping 477 badges. Many of the young people joining us for boating have also managed to gain boating awards including 27 BCU 1*, 24 paddle power passports, 16 RYA levels 1, 10 RYA Level 2, 2 RYA Level 3 and 2 RYA Level 4.